Immaculate home in THE OAKS subdivision. This peaceful and convenient community, only 2 miles from downtown Hendersonville, has beautiful grounds with mature landscaping. Enjoy walking trails, a clubhouse, a year-round heated swimming pool, tennis courts, ponds, a lovely gazebo, shuffleboard, golf, and more! The updated condominium has an ideal floor plan, with cathedral ceilings, a stone fireplace, a large master bedroom, and plenty of storage. 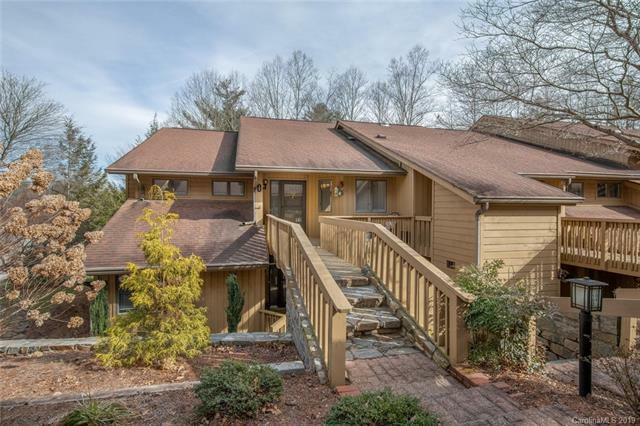 Relax on the private screen porch, overlooking open green space, woods, and a creek. This move-in ready home is in fantastic shape. Prepare to be wonderfully surprised!